THURSDAY, March 7, 2019 (American Heart Association News) -- Dan Willard doesn't remember a thing from those fateful 48 hours. Not what happened to the 32 pills of prescribed painkiller -- nor how his daughter dragged his body from the chair to the floor so she could follow the emergency operator's CPR instructions. "My body was in such a mess and such a spiral downward that it became so abusive, and of course I was as most people probably are, constantly in denial," Willard said. "They look at the statistics on the news every night and say, 'This can't happen to me.'" A New York Times article last spring highlighted the growing problem of endocarditis, a deadly heart infection, that is happening in people who are injecting methamphetamines and opioids such as heroin. The problem doesn't seem to respect any boundary, said Dr. Isac Thomas, an assistant professor at the University of California, San Diego School of Medicine. "It touches all ages and economic brackets. There are some definite cardiovascular impacts from taking these drugs," said Thomas, who helped lead two recent studies suggesting a growing epidemic of meth-induced heart failure, especially among younger adults. 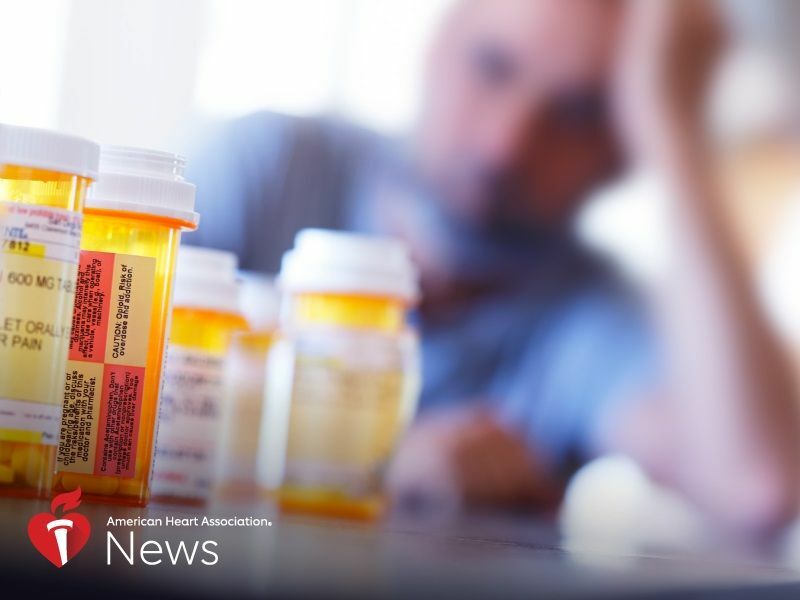 "Addiction is a disease, and you have huge swaths of people across the country who are dealing with this disease, and then the vast new heart issues that arise," he said. "It's something I don't know if we are equipped just yet in our routine practice to deal or cope with. … We have to reeducate ourselves and involve other disciplines," such as addiction counselors and social workers to care for these patients. Willard said he sees miracles throughout his story. He's grateful for the second chance -- and that his daughter, who was 21 at the time, didn't hesitate in following the CPR instructions until the ambulance arrived. It's an irony not lost on someone who spent 22 years answering emergency calls and dispatching ambulances. "With their help, I can be on track and not be tempted," he said. "I think I can deal with the pain more knowing that I have other people really depending on me to be around. I was in denial, but I'm finally on the right path." This past summer, the county's emergency medical services hosted a celebration to reunite cardiac arrest survivors with first responders. Willard said there was "only one person who survived a cardiac event from an opioid overdose, and that was me."